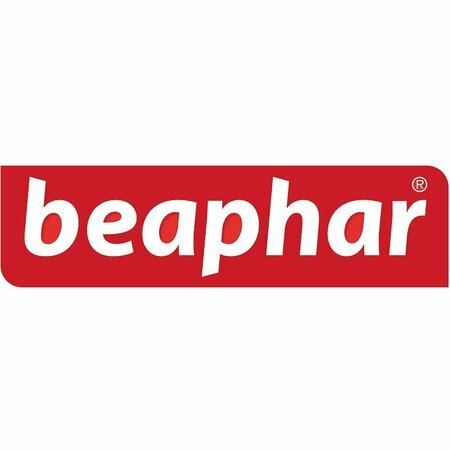 Beaphar introduces a new product against parasites. 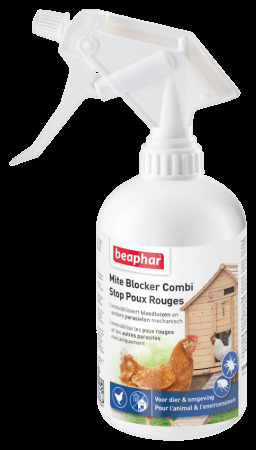 Beaphar Mite Blocker Combi has been specially developed for non-flying birds, ornamental chickens and their environment. 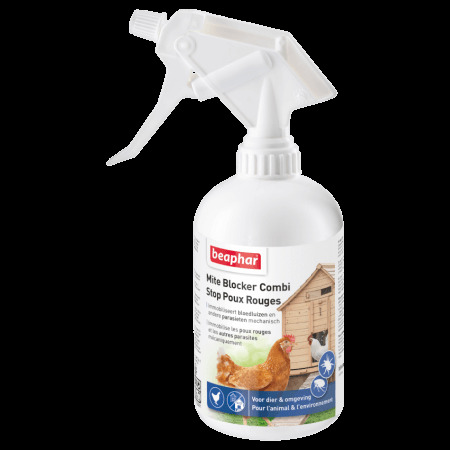 This spray based on Dimenthicon immobilizes blood lice, mites, lice, fleas, ticks and other parasites. 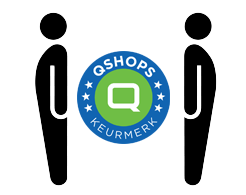 the joints of parasites mechanically, through contact with the product. This affects the following life stages of the parasites: eggs, larvae and insects or adult parasites. chicken coops, cages, as well as on the animal itself.